In a cloud-first world, fast, constant connectivity to business-critical apps is a must. When a problem arises, simply seeing it is not enough. “I don’t know” just won’t cut it. To quickly solve the issue, you’ve got to know exactly where it is and understand why it’s happening. Yesterday’s network performance monitoring solutions aren’t up to the task. With more traffic moving across more networks that are out of IT’s control, you need new solutions. Solutions that look beyond the LAN. Solutions that provide actionable information in real time. Solutions that get to the root of the problem quickly. 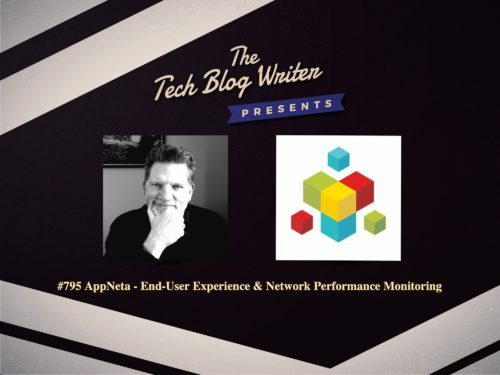 AppNeta’s SaaS-based solution, the AppNeta Performance Manager, empowers IT and Network Ops teams at large, distributed enterprises to proactively understand and remediate issues that affect network and business-critical cloud application performance, regardless of where they occur. AppNeta is also trusted to solve the toughest performance management challenges by over 50 of the Fortune 500, including 3 out of the 5 largest corporations in the world, as well as 4 out of the 5 largest cloud providers. The company is the only network performance monitoring solution that delivers deep, actionable, end-to-end network performance data from the end-user perspective. It was also recently named a visionary in 2019 Gartner Magic Quadrant for network performance monitoring and diagnostics. After also learning how AppNeta is trusted by some of the biggest Fortune 1000 companies, including 3 out of the 5 largest corporations in the world, as well as 4 out of the 5 largest cloud providers, I invited CEO Matt Stevens onto my tech podcast to learn more.